Approved by the Public Service Commission in November 2017, Saratoga Wind is a 33-turbine installation totaling 66 megawatts (MW). MGE broke ground on the project in early 2018. Now operational, Saratoga is expected to generate between 275 and 300 million kilowatt-hours of electricity annually. Click here to watch a short, time-lapse video of Saratoga’s the construction. Status: Under construction. All should be operating by June 2019. 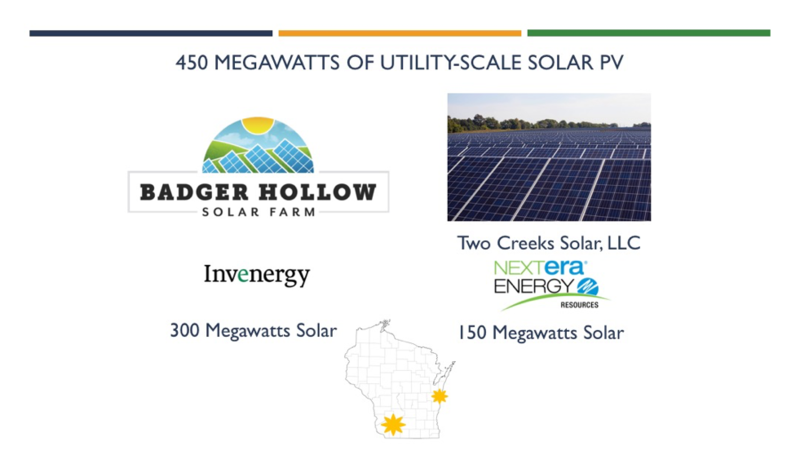 OneEnergy is breaking ground this week on 10 solar arrays in the Upper Midwest that will supply electricity directly to municipal electric utilities in western Wisconsin and Minnesota. Seven of these installations will be located in Wisconsin. The financing for these projects is coming from multiple sources, among them Organic Valley, the City of Madison, and project owner BluEarth Renewables. 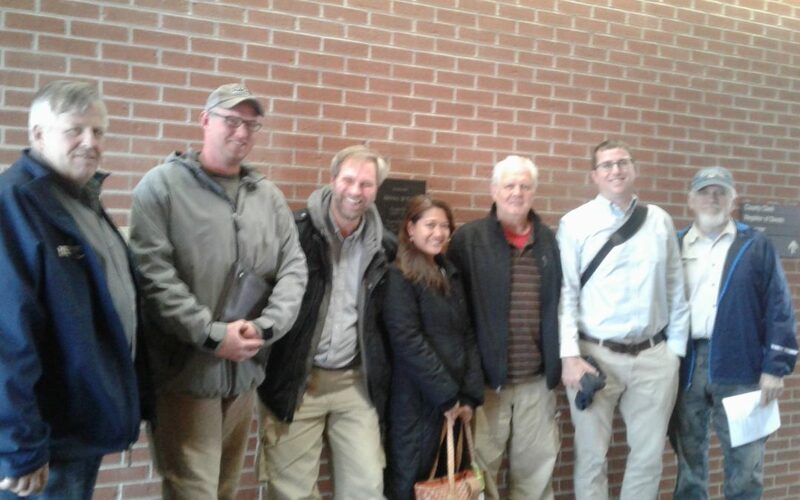 In exchange for their contributions to the projects’ financing, Organic Valley and the City of Madison will acquire all the renewable energy attributes from the specific installations they are supporting. 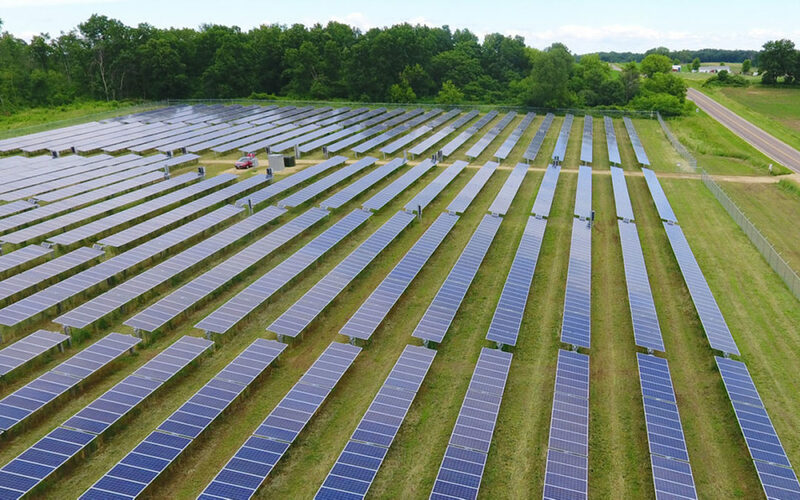 When the projects begin generating power this summer, the Arcadia array, sized at 7.45 MWdc (5 MWac), will become the largest solar array in the state of Wisconsin. Plymouth-based Arch Electric will construct several of the arrays. Just before the holidays, We Energies received approval from the Public Service Commission to begin two new renewable energy pilot programs. 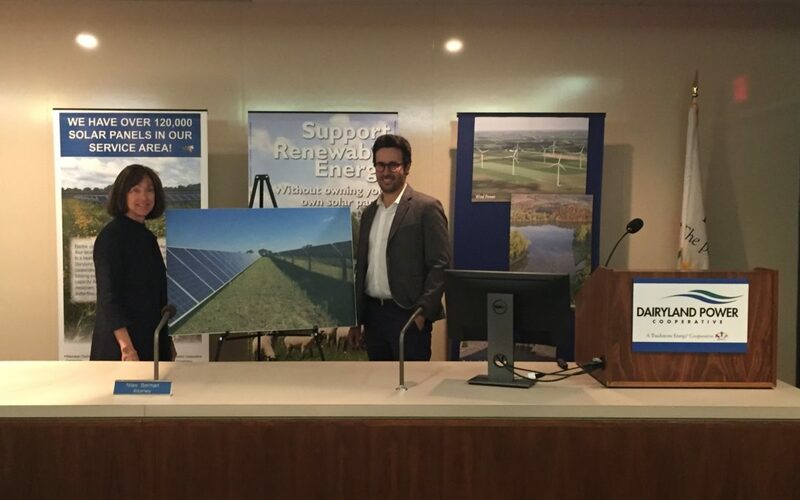 The first is called the Dedicated Renewable Energy Resource program and would allow commercial, industrial, and local government customers to access large-scale renewable energy projects. 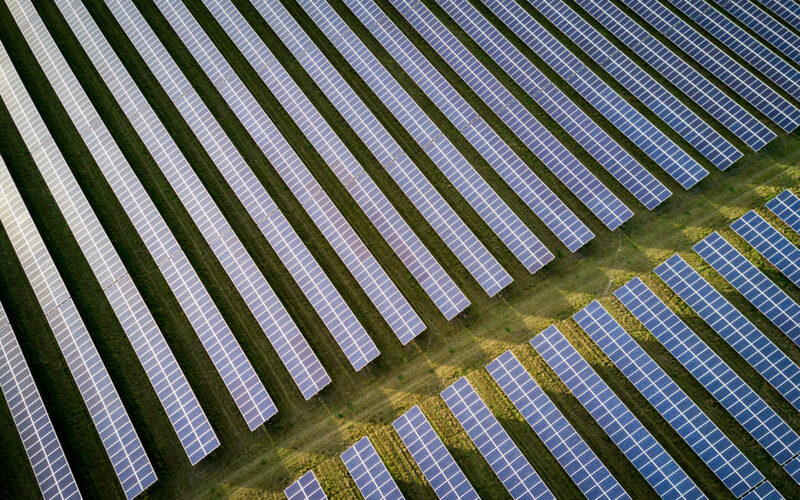 The projects would allow larger customers to meet their sustainability and renewable energy goals, while potentially saving money, and We Energies could supply up to 150 megawatts of existing customer load with renewable energy through this program. The program would also allow an unlimited amount of new load to be served with renewable energy through this program. The second program, called Solar Now, would enable We Energies to lease roof or ground space from customers. We Energies would own the solar projects, and pay lease payments to the host customers. The program could build up to 35 megawatts of solar. RENEW Members had various opinions about this program, which were reflected in our comments filed with the PSC. We will keep you apprised as these programs roll out.